In a perfect world, there would be no need for protective gear of any kind. Roads would be uncongested and immaculately maintained. Gravel and sand would stay on the side of the road where they belong. Animals would know better than to wander into a roadway, and every other motorist would be paying attention and driving lawfully. The perfect world does not exist! As such, there are plenty of variables working against motorcyclists that are hell-bent on causing crashes. Protection, therefore, is vital and means the difference between walking away after an accident or not. 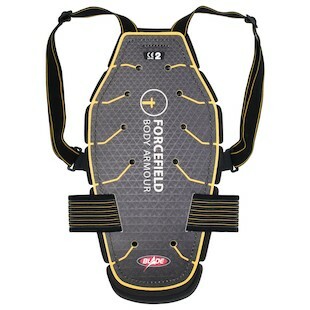 Forcefield is here to help, and they have just released new back and chest protection. For those new riders out there, Forcefield makes some of our favorite body armor. Their products are CE-Rated, comfortable to wear, and can stand up to multiple impacts. Forcefield also tests their armor and publishes the amount of energy that is ultimately transmitted to the rider. A quick word about CE ratings for motorcycle protective gear. CE stands for Conformité Européenne, which roughly translates to “European Conformity.” Essentially, most products sold in Europe are covered by certain dictated safety standards. When it comes to motorcycle-specific armor, there is a test process that a protector needs to pass. The impact energy a protector needs to absorb is set at 50 joules, and the transmitted force cannot be more than 18 kiloNewtons (kN). What this all boils down to is that if armor transmits between 9 and 18 kN, it can be rated as CE Level 1, and if the transmitted force is less than 9kN, it can be rated as CE Level 2. 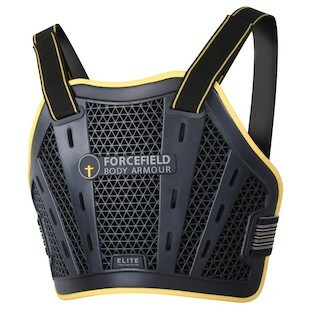 First up, we have the new Forcefield Elite Chest Protector. This chest plate is not an insert meant to be worn inside a jacket pocket, so it comes with adjustable straps to be worn as a stand-alone piece. The construction is the proven Nitrex Evo used in previous Forcefield protectors which delivers low transmitted energy levels, and can take repeated impacts. The new Elite Chest Protector has a contoured shape for a more comfortable, lower-profile fit, and is CE Level 1 Rated. Next up to compliment that chest protector is the new Forcefield Blade Back Protector. The Blade is also intended as a stand alone back protector, and it comes with adjustable straps to get the fit just right. The Blade uses a 4 layer Nitrex Evo construction to deliver CE Level 2 protection. Last, but certainly not least, the shape has been ergonomically optimized to fit the curvature of your back for a comfortable fit. If wearing a stand-alone chest and back protector is too bulky and uncomfortable, but you still want quality protection for your ride, Forcefield has released the Airo Vest. An upgrade over the Race-Lite Vest, the Forcefield Airo Vest takes a CE Level 1 chest protector, and combines it with a CE Level 2 back protector so you can wear both comfortably. 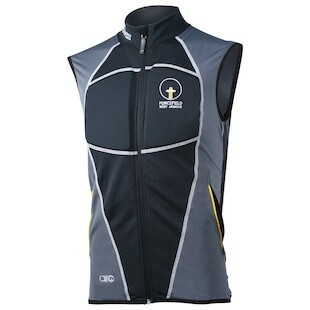 The vest itself is fleece lined and made out of a breathable fabric that is flexible and comfortable. When riding in an imperfect world, why risk riding without protection? With these three armor options, there is sure to be something to fit your riding style. So get out there, have fun, and be safe.